You'll be £12.00 closer to your next £10.00 credit when you purchase Cumbria at War 1939–45. What's this? The outbreak of war marked a new era for the people of Cumbria. Many young men and women enlisted in the Forces, while older people joined the Home Guard or became Air Raid Precaution Wardens. Children from cities were sent to Kendal to escape the threat of bombing raids, members of the Women’s Land Army began to arrive on at the local farms, and Silloth airfield near Carlisle trained thousands of pilots from allied countries. The first sign of German interest in the important shipbuilding town of Barrow-in- Furness was in May 1936, when a rigid airship and passenger aircraft flew very low and slowly over the Furness rooftops. Vickers shipyard became a target for enemy bombing and eventually more than 10,000 houses were damaged or destroyed by the Luftwaffe during the Barrow Blitz that took place during April and May 1941. Extensively researched, the book takes a detailed look at the ships built in Barrow, memorials in the city of Carlisle and towns and villages across Cumbria, and remembers the brave dead of Second World War. Overall, this is a poignant testimony to the momentous efforts, bravery, self-sacrifice and determination of the people of Cumbria during the Second World War, who sought to find normality in a reality so far removed from anything they had ever known. Extremely well researched and detailed with many photographs. I have found it most interesting. 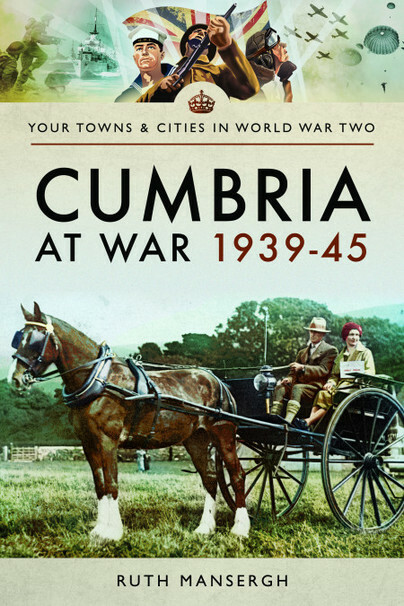 It covers an array of information of wartime Cumbria, and is a fine testament to the those who served in their various capacities during the time of the Second World War. Ruth's study is a fascinating read.